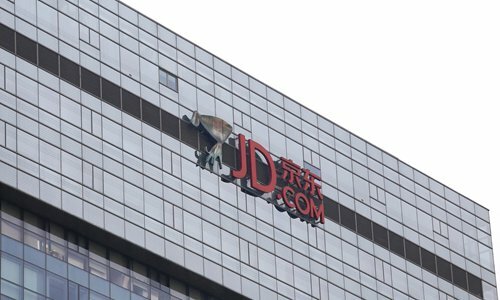 JD.com is known for its regulation of internal corruption, and it has a "zero-tolerance" attitude towards any form of corruption, according to the post. "Any workers who are found violating the regulations will be fired," the post said. Companies in the internet industry have launched campaigns to curb internal corruption. In 2018, Song Bo, vice president of the channel business division in the Beijing-based 58.com and Guo Dong, director of the division at that time, were both arrested for taking bribes, according to caixinglobal.com. In January this year, Didi Chuxing, the Beijing-based ride-hailing provider, released a report on investigations into internal corruption, showing more than 60 cases related to corruption, embezzlement and plagiarism, and 83 people were involved, according to a report by bjnews.com. Li Chengdong, an independent industry analyst, told the Global Times that the increasingly forceful crackdown on corruption in the internet industry is largely due to sector's fast growth, especially in e-commerce. "It's not that only internet companies face the problem of corruption and embezzlement," said Li. "It's that the enormous amount of money they are handling means the companies have to be very cautious with any sign of misconduct. "When you are dealing with a company with incredible trading volume you have to have tough regulations, because there is huge room for corruption. For example, Juhuasuan (a flash sales platform under Alibaba) was involved in a corruption scandal in 2012, and almost the whole department was reshuffled," Li said.